I am still a very amateurish photographer, as you will see. My excuse, I still work 32 hours per week, and I have a hard time spending a lot of time waiting for the room lighting to be perfect. I also could spend a little more time on photography tutorials and photo retouching software. My living room was sawdust yellow for the last ten years. In April, it became Dover White. 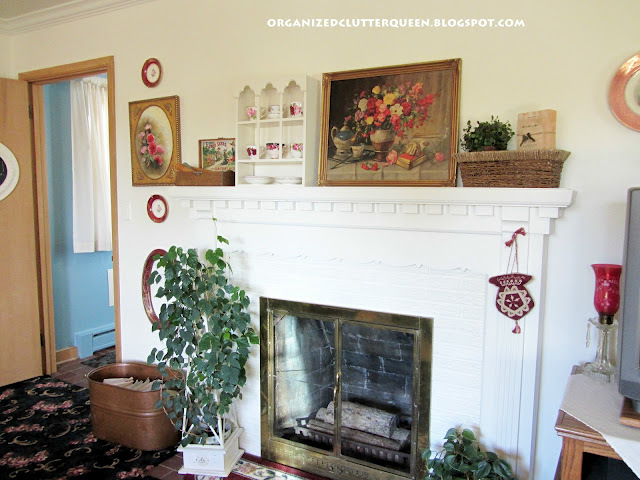 I showed you the mantel after painting in a previous post, and promised a full reveal. Disclaimer: I like pattern, I like color, I like flowers, and you are about to see a lot of these in my living room! I put the patterned carpet in 10 years ago. Unfortunately it shows no wear, because I am tiring (tired) of it. The living room door with my recently completed old frame chalkboard. My Grandma's treadle sewing machine. I covered it in a previous post. 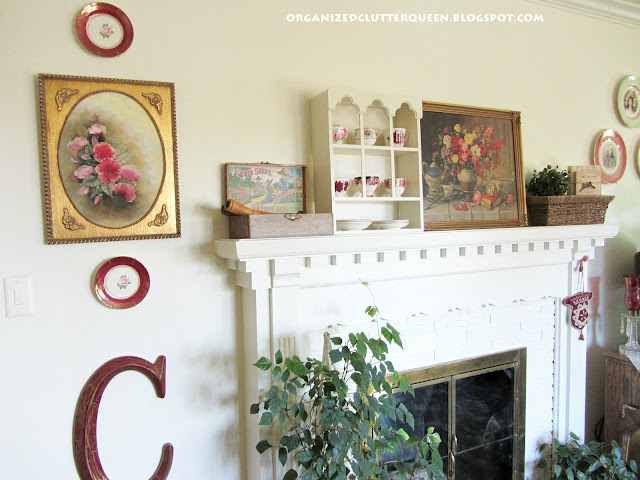 This photo shows my new beadboard wall shelf also covered in a recent post. This washstand was a $40 garage sale gem. 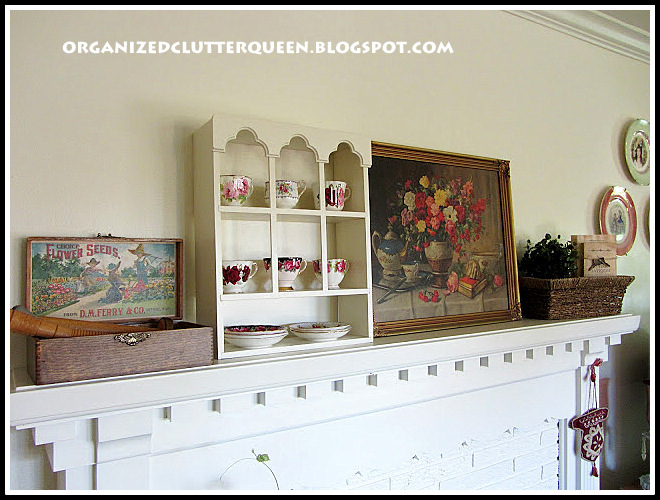 I recently put one coat of nutmeg American Accents paint over the finish to make it match the new shelf better. I like the way it turned out. The wood grain is still visible, and the distressed areas are too. 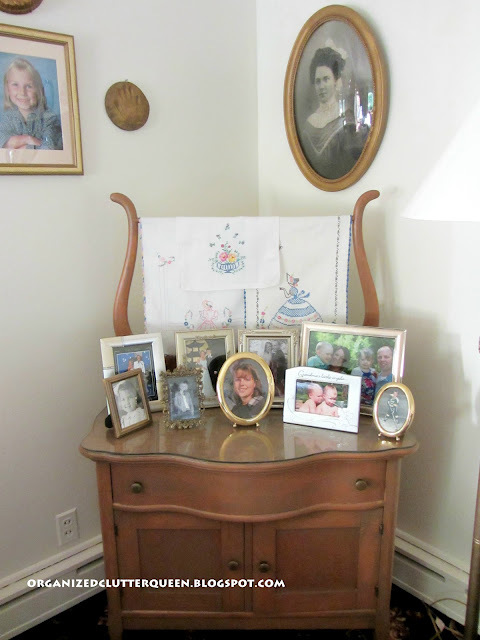 I have a little photo gallery of recent photos and an antique photo of my great grandpa's sister above the washstand. 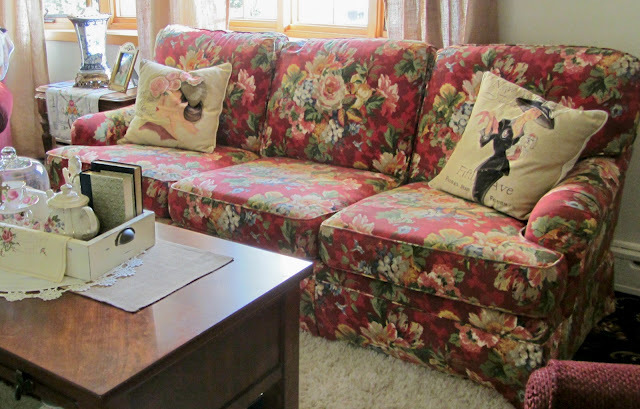 This is my fairly old, 12-14 years old, Flexsteel, linen, floral, skirted sofa. I fell in love with it the first day I saw it and still like it. It is slightly faded but otherwise in excellent condition. 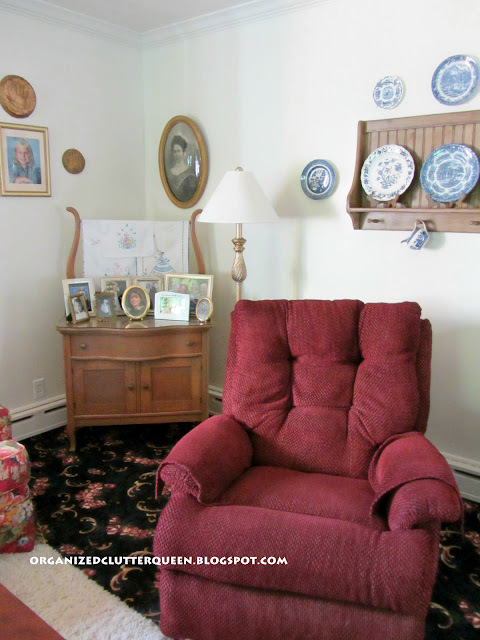 I like the white slipcovered look too that I see on a lot of blogs but I look outside at white snow for over six months a year and enjoy some color. I love tea cups too. 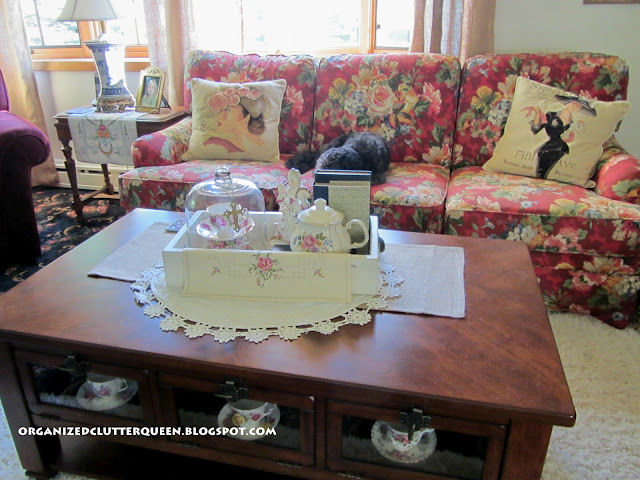 The coffee table has little doors for more display of cups. My new cloche vignette is on top. These great pillows are also covered in a previous post. The sofa wall. Have you noticed dogs in the photos before now? I gave up trying to get them out of the room for the photography session. 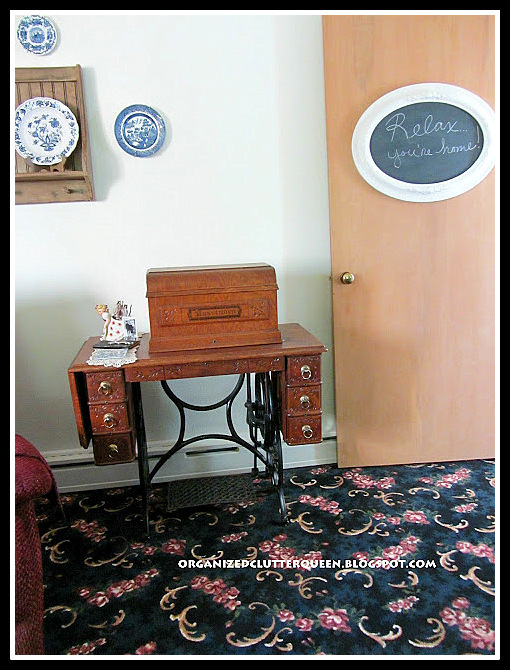 This is the 1930 Sparton wood radio cabinet repurpose. This Eagle desk was updated with new hardware. This is my dining table without the leaf and the beautiful chandelier that came with the house. It must be 50 years old too. 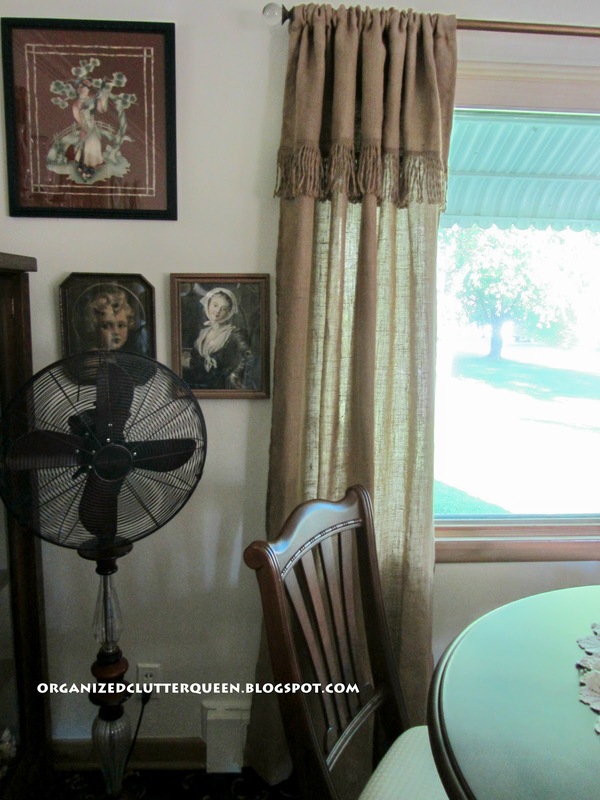 These are the burlap curtains I recently purchased from Ballard Design. I think they de-formalized a little too. 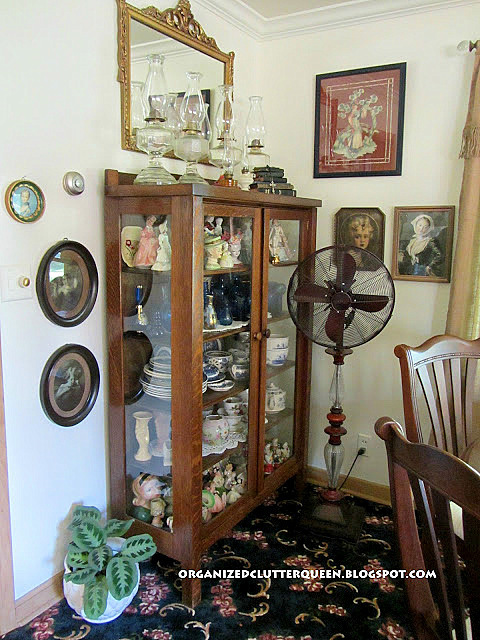 Also a family heirloom, my Grandma's China Cabinet. I love the fancy Deco-Breeze floor fan too. 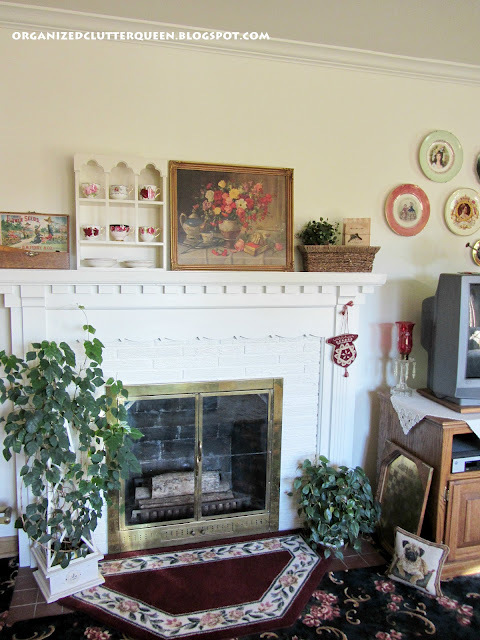 The fireplace and mantel. This television has not been replaced yet with a led. Still works! A collection of lady portrait plates. This room is decorated for my personality. 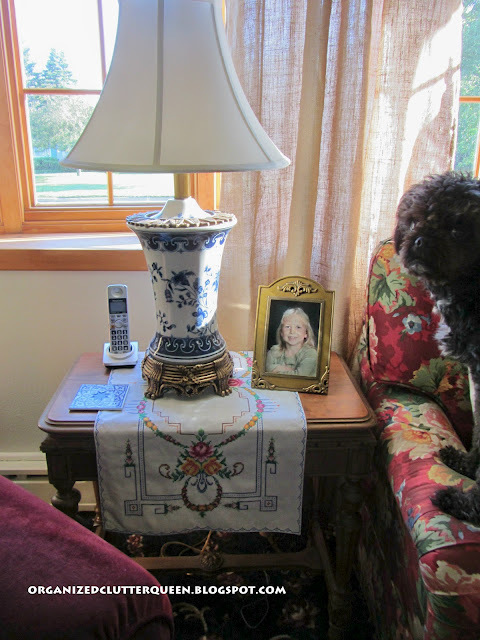 My love of flowers, antiques, nostalgia, pattern, color, lady headvases, lady portraits, lady figurines, lady portrait plates, dogs, oil lamps, miniature bibles, tea cups, family photos, air brush prints by De Jonge and Turner, and houseplants. I love to see that I am not the only one with both a TV and a desk in their living room. Yes, every bit of my house is used. Very nice and cozy. You have some great collections. I couldn't live with the all white look either. There has to be some color. I like the carpet.....it fits nicely in your room. Thanks for sharing. Everything looks so nice and bright with your big windows! Your new curtains look awesome!!! And I love red, so your couch is right up my alley. My soon to be vintage 22 year old couch is Flexsteel, too. They are built to last, that's for sure! Love all your collections. They give a house personality, I think. Your room is very cozy and inviting! That is a fabulous sofa, I really like the fabric. 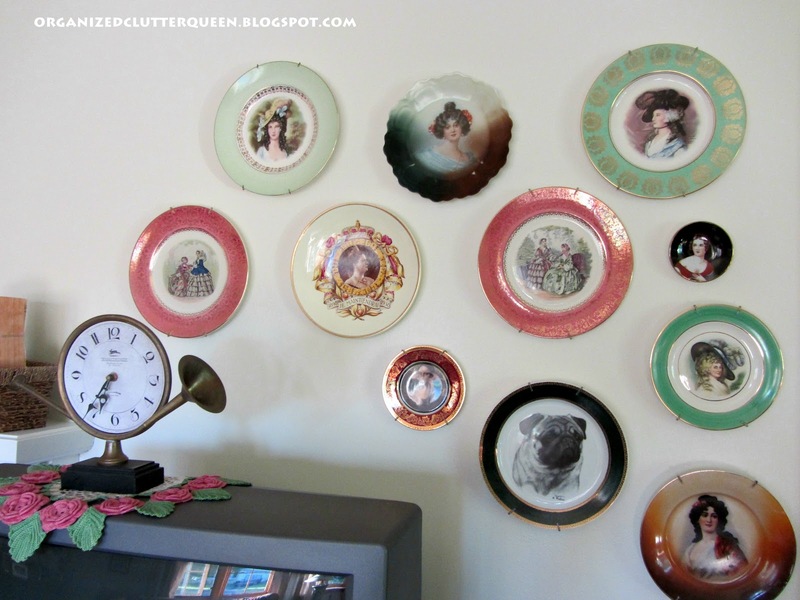 And I love the way you have your plates arranged on the wall. Your living room looks so comfy! I like the color- And I love the table and chairs! 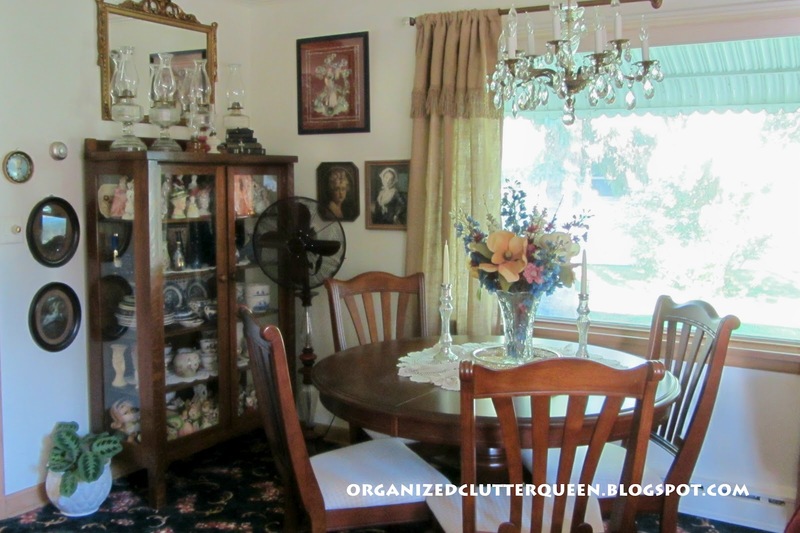 I've been thinking a table for two might work great in my living area-- especially now that it's hot outside and there isn't an A/C in my kitchen dining area! We too have an older TV that won't die! 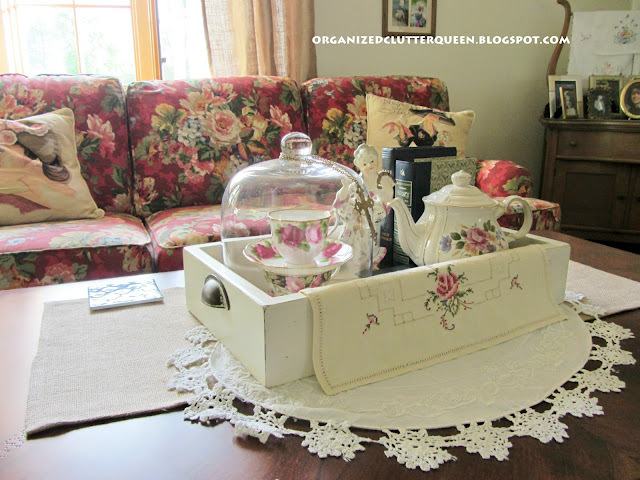 the other thing I liked was your hutch, I have a similar one that was my great grandmothers! 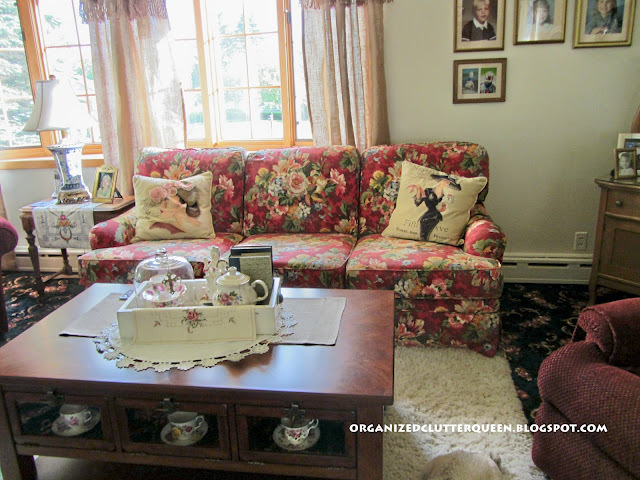 Hi Carlene, You took a lot of great photos of your living room and dining room. Looks like a comfy room for the family to gather. Beautiful chandelier left with the house. 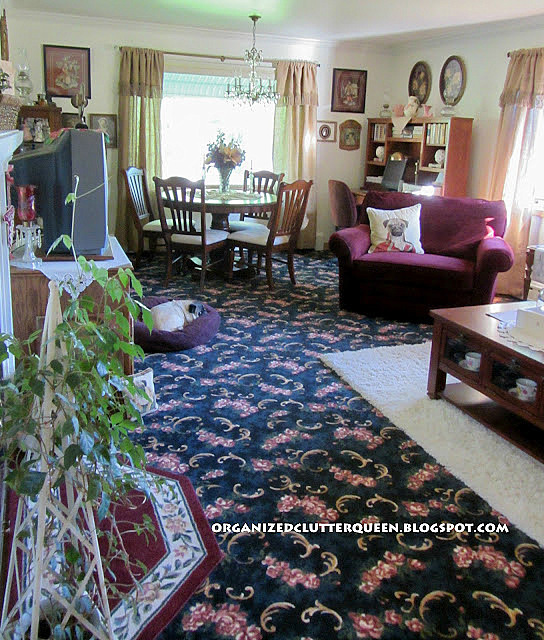 Oh, what a pretty living room and dining room! I need to tell you, probably about 10 years ago I saw your sofa in a magazine and did some research to find one like it but couldn't. I was so sad as I wanted it so bad. I just love it. Love seeing a home that looks so charming and warm. I love your room and I LOVE color too!!!! I like the plates, carpet (yes) it is different from what you see alot now, BUT not everybody has to be the same be yourself......love the sofa!!! I think the room looks great! Wow ! 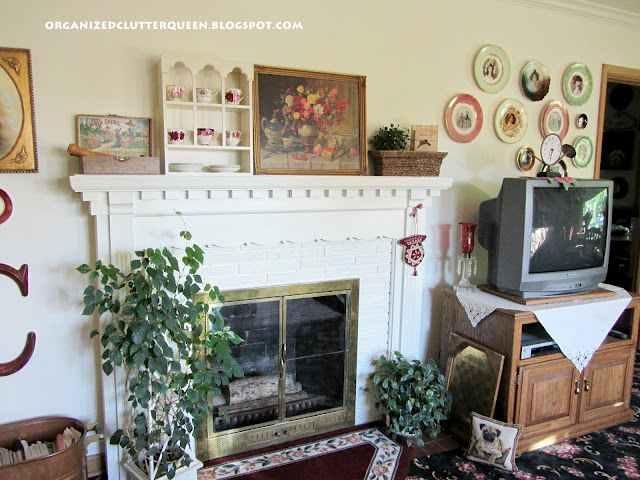 Love those lady portrait plates.. and the mantel looks fabulous.. !! Love the skirted sofa. I could not live in all white either. Our tv is old and huge and we paid ten dollars for it at a yard sale. So much eye candy! I love all of it!! You really have some beautiful pieces and have them all displayed so perfectly!! 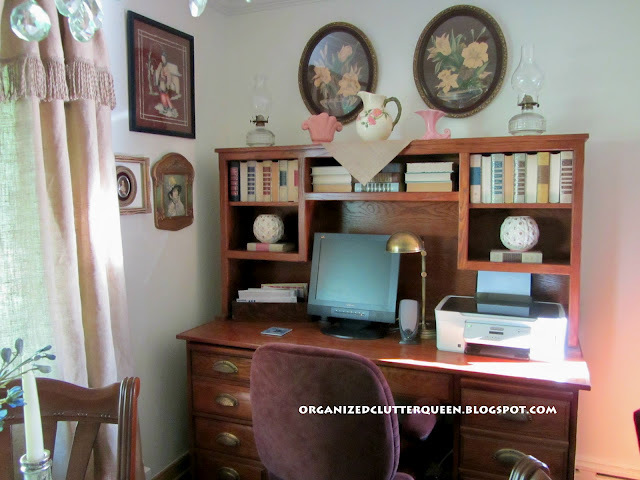 I enjoyed seeing your very pretty and feminine space and your beautiful antiques and how you use them in everyday life. My dogs(two labrador retrievers)always want to be in the photographs too! 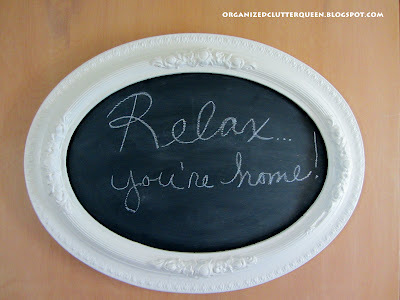 You have the kind of warm, welcoming home that immediately makes visitors feel at ease. Well done! 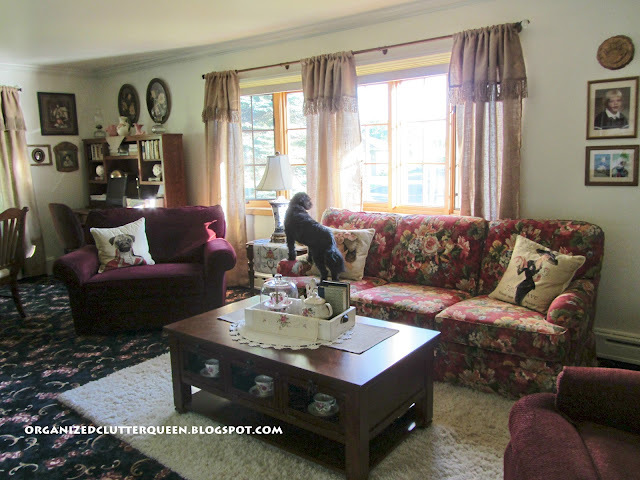 Looks fabulous - love all your fun touches like the plate walls and cute pillows (love the pug - real and pillow)! Such a pretty room. I love white paint--it makes all your beautiful things stand out! Very nice! I love your rug and your sofa too! I have a bedspread almost like your couch fabric. 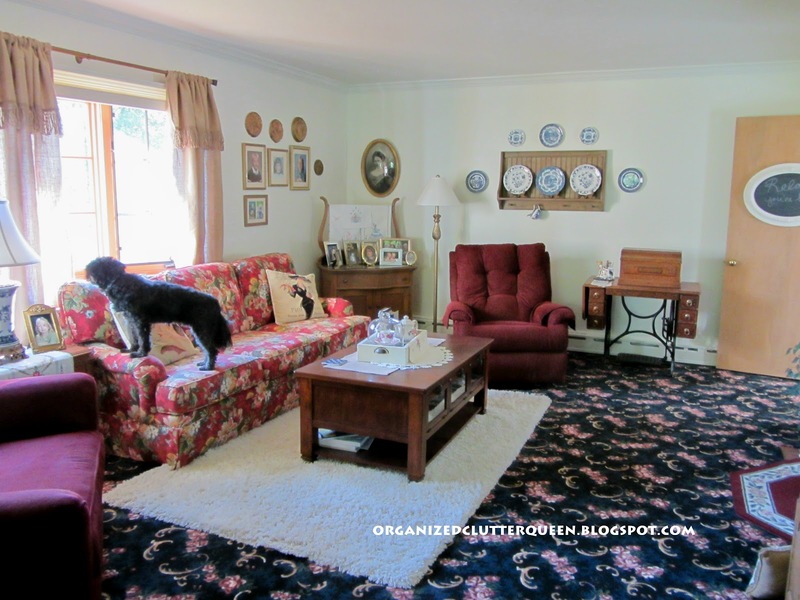 You have a big living room! Great job! Such a cozy room! I especially like the washstand and what a deal you got on it. What a great room! I feel a room should represent you and you should love what's in it! Flexsteel is a great brand! I agree about all the "white' stuff...where I live snow starts flying in late November and goes through April! 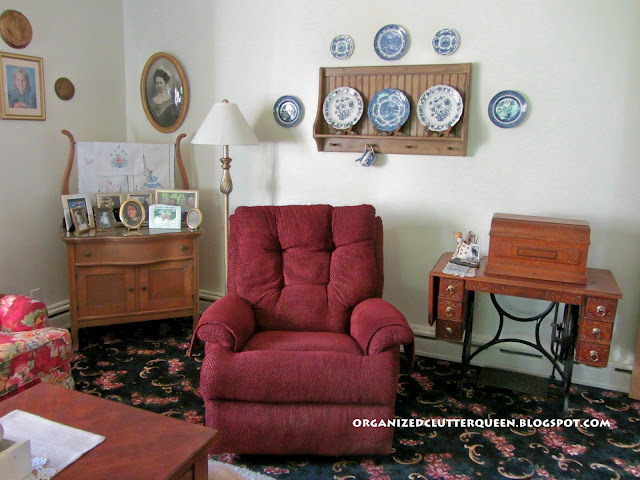 I gave a large oak tv stand (with a tv) to my Mom some years ago and it looks so much like yours! G'morning, Carlene...just taking a stroll thru your house this morning. I'm sooo totally in love with your pretty sofa. I would love to have one just like it.